That’s a shocking picture and quite a bit of blood to say the least. 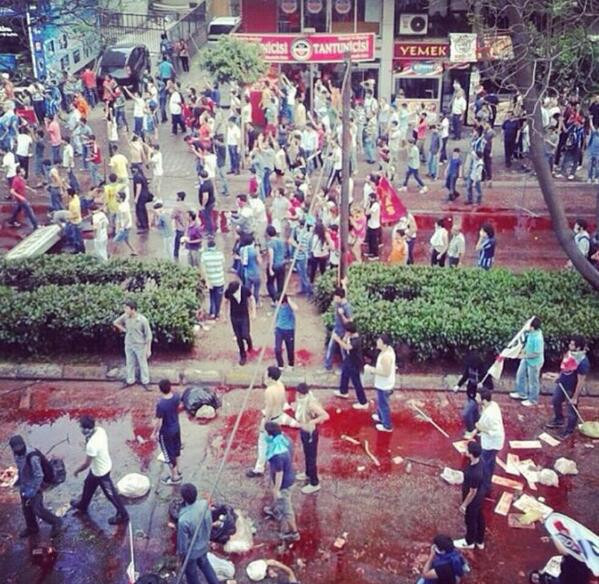 You can find more pictures of the happenings in Turkey via policymic.com. At the very least, what some of these pictures show is that police brutality has occurred and is unacceptable. There are other even more graphic photos via the aforementioned link. Fair warning. That makes me sick to my stomach. Our world is so unbelievably cruel.